One of the best ways to speed up your android device is by cleaning the junk files. Of course, we can manually delete some of the junk files but we can’t clean the temporary files which are created by some apps. So to clean such junk data you could use some cleaning apps, but most them doesn’t work as they promise. So today I’ll be reviewing the best app to clean and speed up your android device. 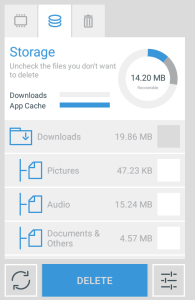 The cleaner is a free android app which aims to boost your android’s speed and performance. It does this by cleaning junk files, killing unnecessary apps, uninstalling malicious apps and by optimizing your phone. 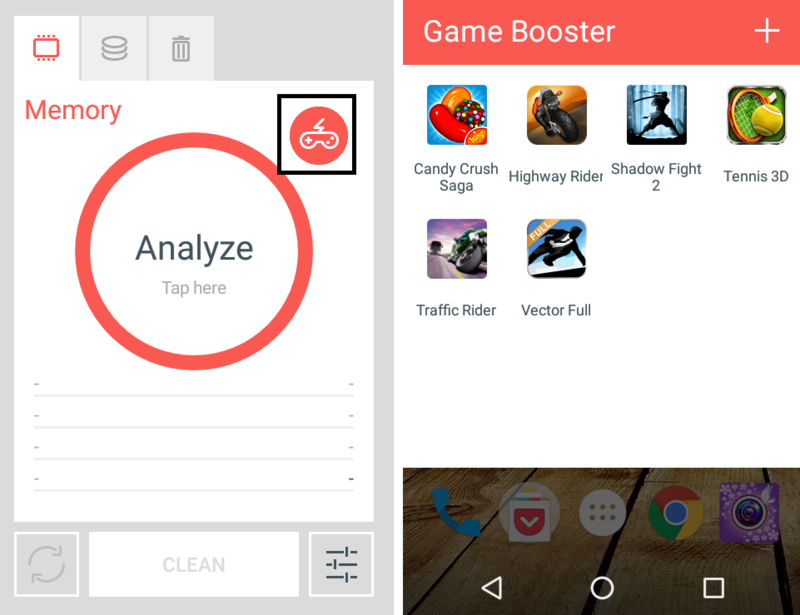 If your phone lags while playing games then you can optimize it with the game booster. Install “The cleaner” app from Google play store. Once it’s installed, run it. Now you can see three different tabs, the first one is Memory followed by Storage and Apps. You can swipe to the right to switch to each of these tabs. 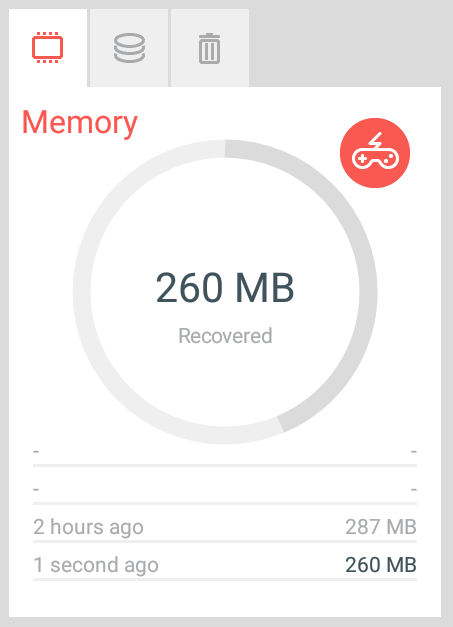 The memory feature allows us to clean RAM by killing unwanted apps which are running in the background. Simply tap on the big analyze button and it will start scanning for apps which consume lots of memory. Now you can see the list of apps running in the background and using your phone’s memory. 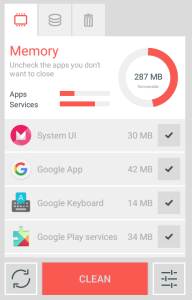 You can uncheck some apps which you wish to keep and don’t want to close. Now just hit the Clean button and it will start closing all the unwanted apps eating your memory. Once the cleaning process is completed it will show you the amount of RAM recovered. Its recommended to clear your memory before keeping your phone on stand by mode. 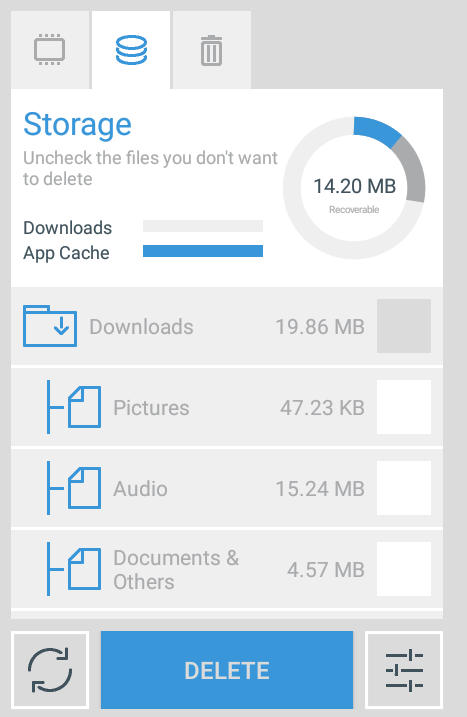 This feature allows us to clean unnecessary junk files and cache generated by apps. Simply hit the big analyze button to scan for junk files. 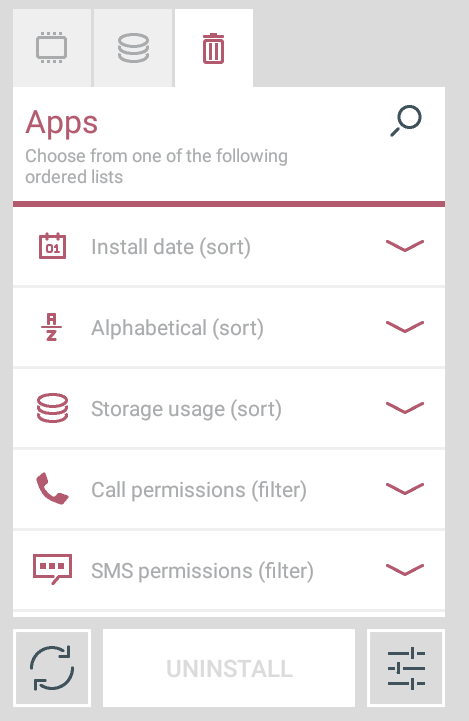 Once the scanning is finished you can uncheck the files which you wish to keep and tap on the Delete button to clean the junk data. If you think you’re having too many apps on your phone and can’t decide which app to uninstall then you would love this feature. 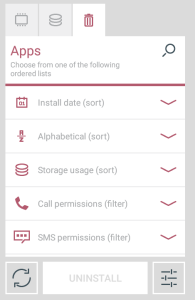 This section allows us to uninstall apps. You might be thinking what’s new in that? Well, when you tap the analyze button it sorts all your apps in different categories like Install date, Storage Usages, Battery usages and much more. This gives us a better idea of which apps are needed and which aren’t. You can speed up games on your phone by tapping on the small joystick icon present in the Memory tab. It will then create a folder on your home screen where can access all your games. 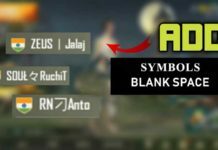 Apart from this, you could also buy different themes to make the app look much better. 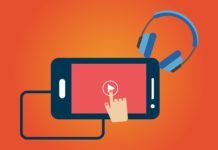 Did you noticed any boost in your phone’s performance? Do let us know in comments.